After seeing the all-new PCX150 for the first time, I immediately knew it would sell on looks alone. I mean, just take a good look at it. There are no sharp edges to distract your eyes from its elegant flowing lines and smooth-like-melted-butter styling. If you ask me, it’s more art deco than bike. 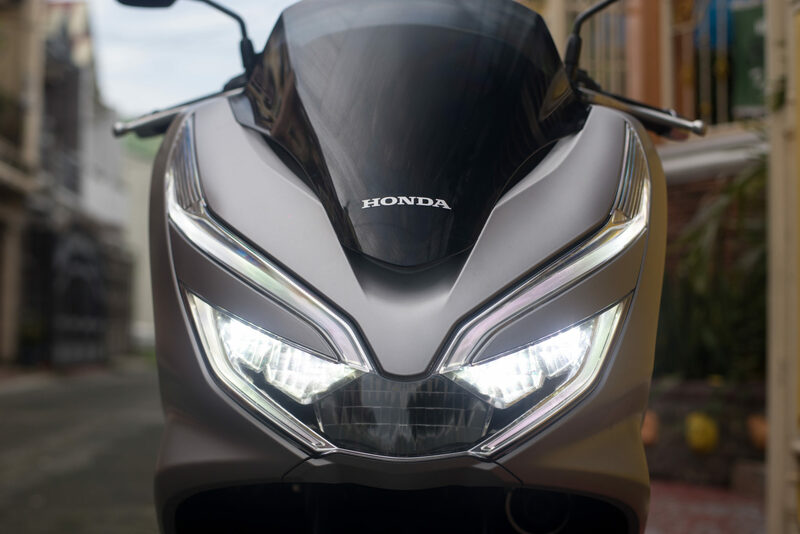 Its unique headlight shape reflects Honda’s current design language and they’re now equipped with distinctive and effective LED bulbs. The “X” shaped LED tail light design is also a nice touch. 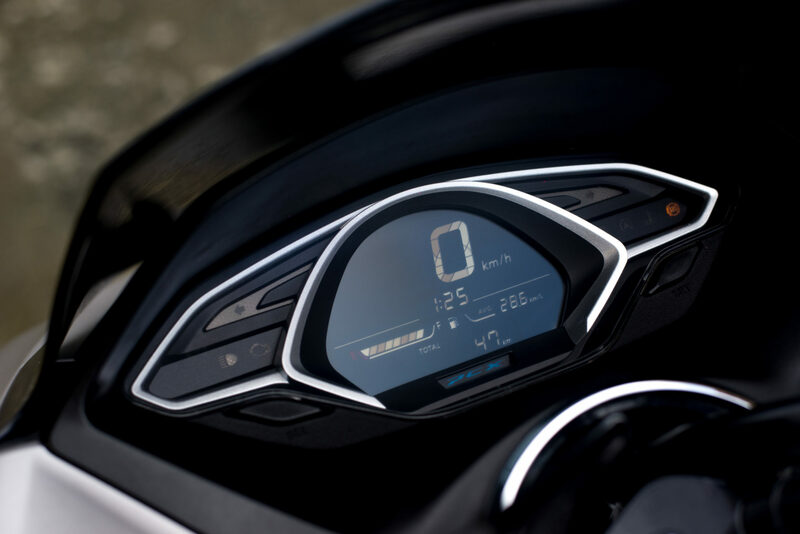 But there’s more to the PCX150 than meets the eye. Underneath that curvaceous body is an intelligent liquid-cooled, PGM-Fi equipped, 150cc single cylinder motor that boasts of stellar fuel efficiency (up to 51.3 kilometers per liter) and ISS, or idling-stop-system. 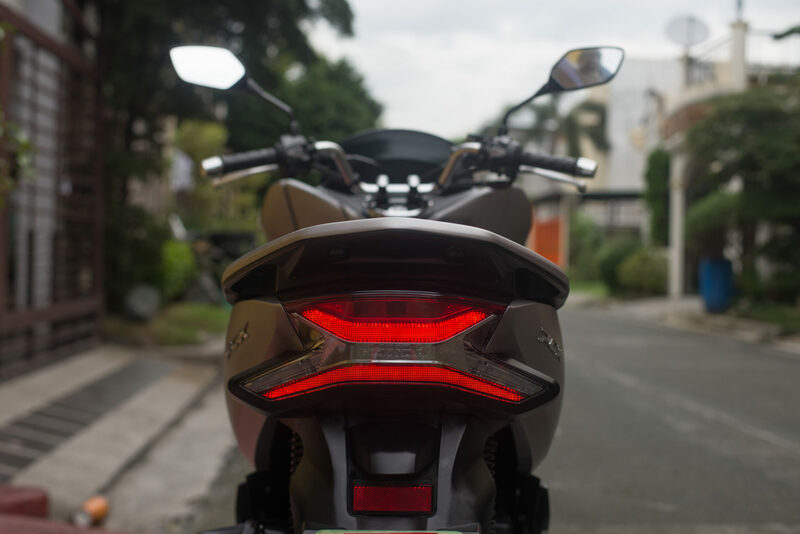 This technology is fast becoming a standard on scooters and was first seen on the Click 150i. ISS helps you conserve more fuel by switching off the motor while stopped in traffic for more than 3 seconds, and automatically starts when you apply the throttle. 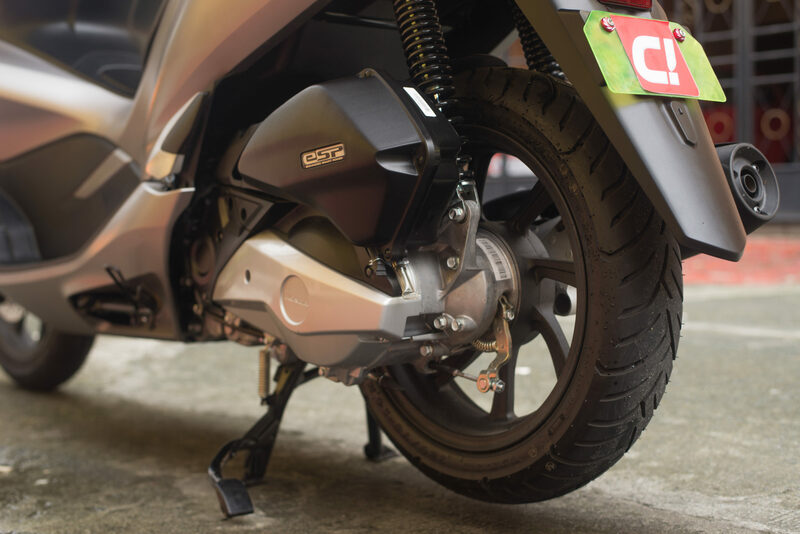 The PCX150 also has ABS, but only on the front wheel because the rear is still equipped with a rather old-school drum brake setup. Why Honda decided to put a drum instead of a disc on the rear is anyone’s guess, but personally, I really don’t mind because I rarely use the rear brake anyway. Besides, I really enjoyed sliding the rear wheel sideways by locking the rear brake like on a supermoto when entering corners. Something you can’t do with full ABS, I suppose. But that’s just me. That only goes to show how much fun you can have on a PCX150. 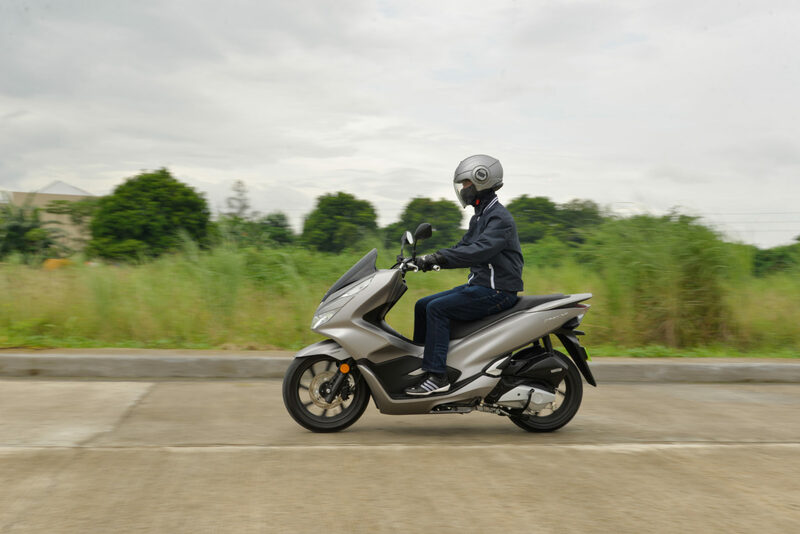 For some reason, riding the PCX150 reminds me so much of the Click 150i but with a different wrapper; it’s light, quick and agile. And that’s what I love about it. I really don’t care if they share the same chassis and engine or not, but riding the PCX150 is so much fun. It’s quick off the line and changes direction with just a slight flick of the handlebars. It has lightness in its movement that belies its 131 kg curb weight. 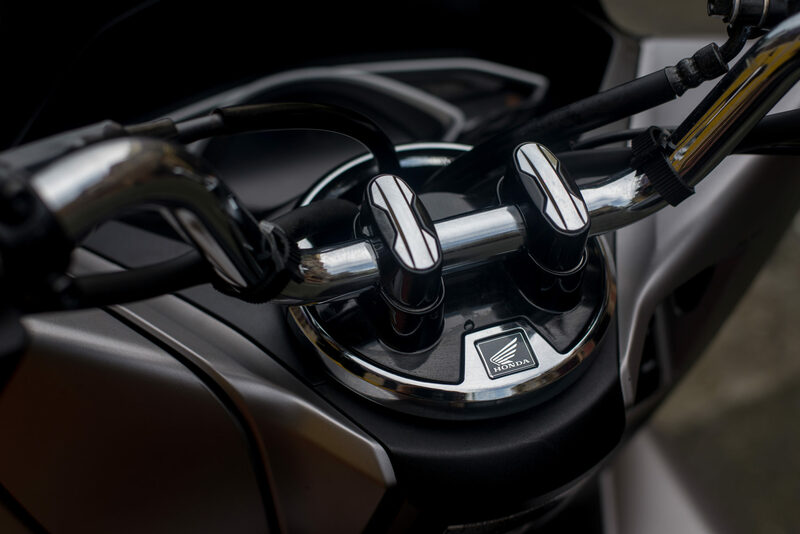 Honda also did a very good job of sorting out the suspension damping of the PCX150, providing a very compliant and plush ride quality over a variety of road surfaces we subjected it to during our testing. 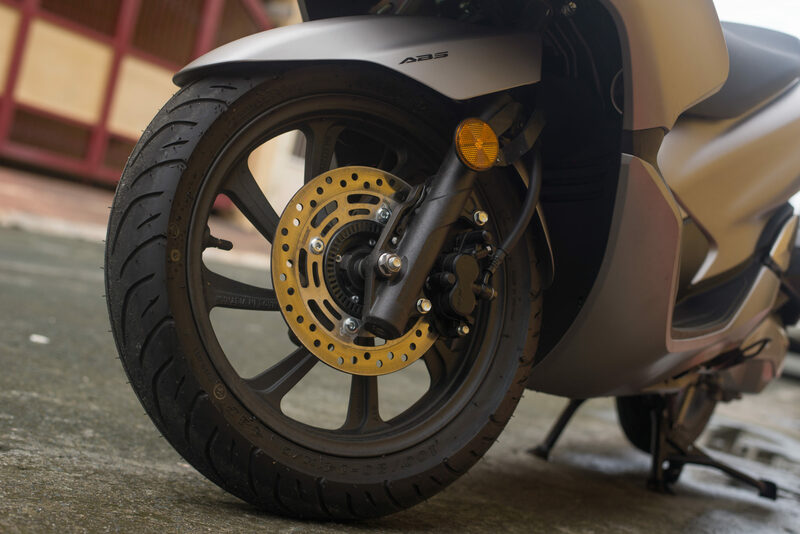 The PCX150 rolls on beautifully designed 8-spoke 14-inch cast aluminum rims wrapped in tubeless IRC tires that provide decent all-weather grip. 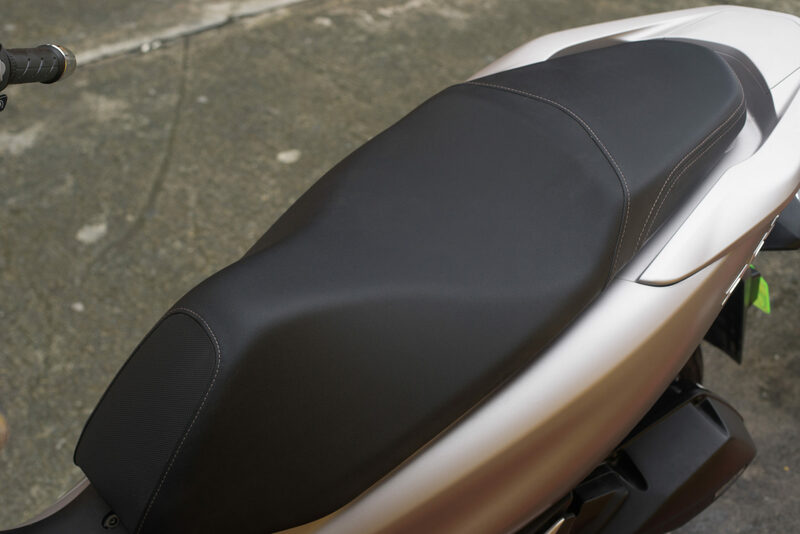 The best thing on the PCX150 for the rider and pillion is no doubt the thickly padded seat. Its low-ish 764 mm seat height and ergonomically sculpted shape will allow even the most vertically challenged rider to reach the ground. The riding position is all-day ride friendly with a relaxed reach to the tall and wide handlebars. All the switches are intuitively placed and can be accessed without any need to glance. But I couldn’t help myself but stare constantly at the beautifully designed instrument cluster. For convenience, Honda provided a power outlet on the left-hand console box for charging your gadgets on the go. 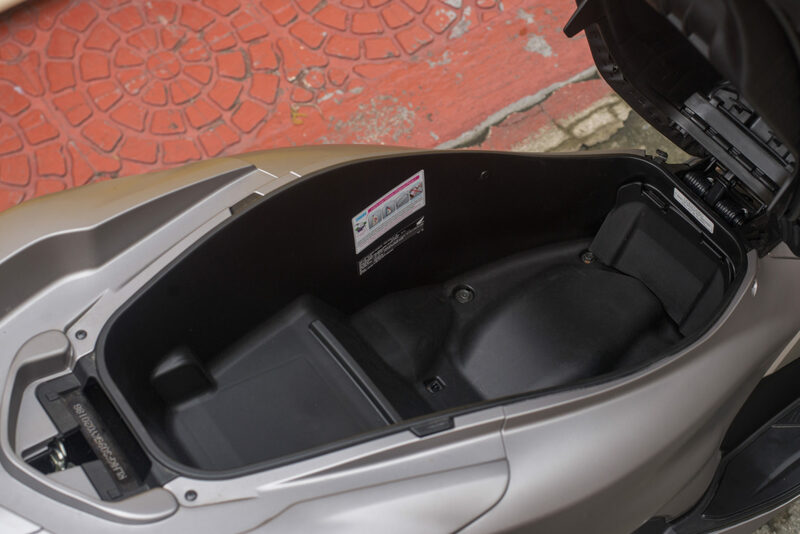 Underneath the seat hides a large 28L compartment that can swallow a full-face helmet with enough room left for other personal items. These compartments, including the fuel filler lid, can be accessed through the Honda Smart Controller with the use of the Honda Smart Key. 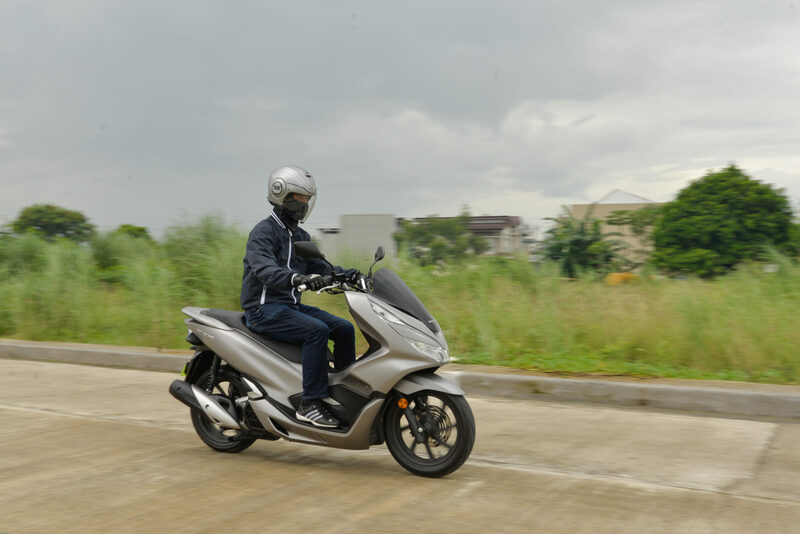 When Honda announced the official price of the PCX150 at PhP 133,900, many raised their eyebrows, especially when you consider that the Yamaha Nmax 155 ABS (the PCX150’s supposed direct competitor), only cost PhP 119,000. 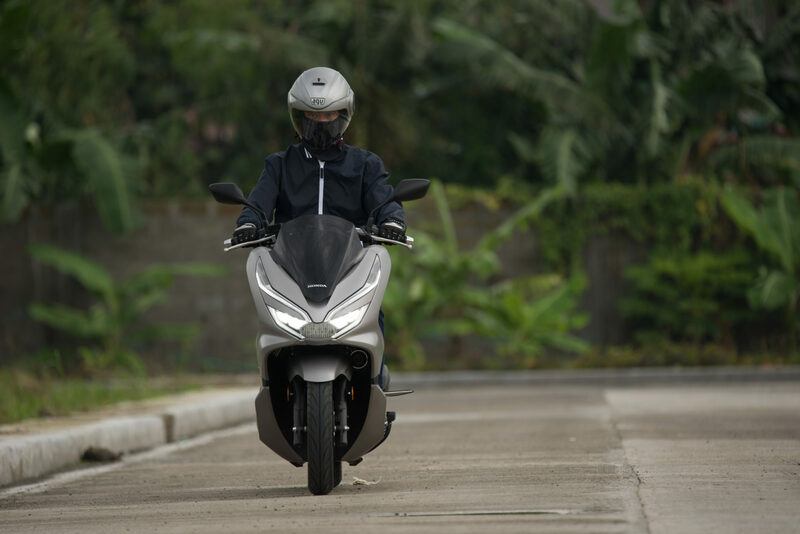 But there’s a lot going for the PCX150 that the NMAX doesn’t have such as the Smart Controller, Smart Key System and for now at least, the Idling Stop System (features recently added to the PhP 122,900 Yamaha Aerox 155 ABS). 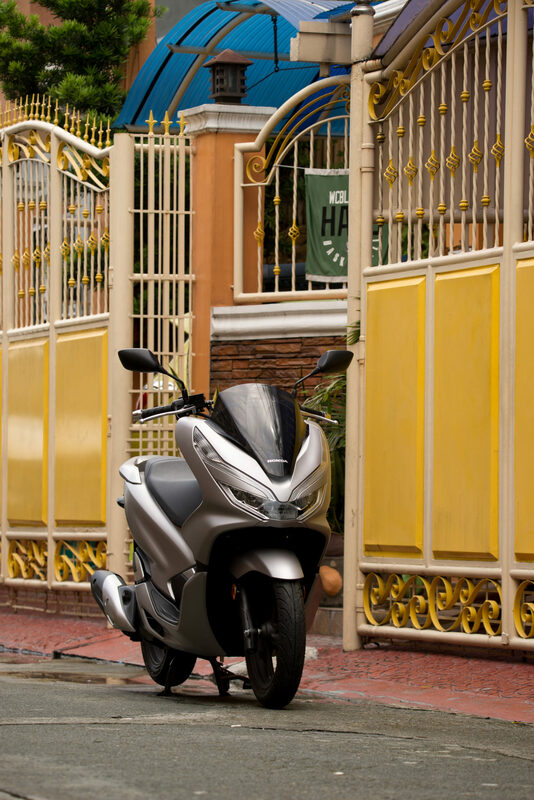 It’s up to you to decide if these extra features command the PhP 14,900 premium vis-a-vis the Nmax. 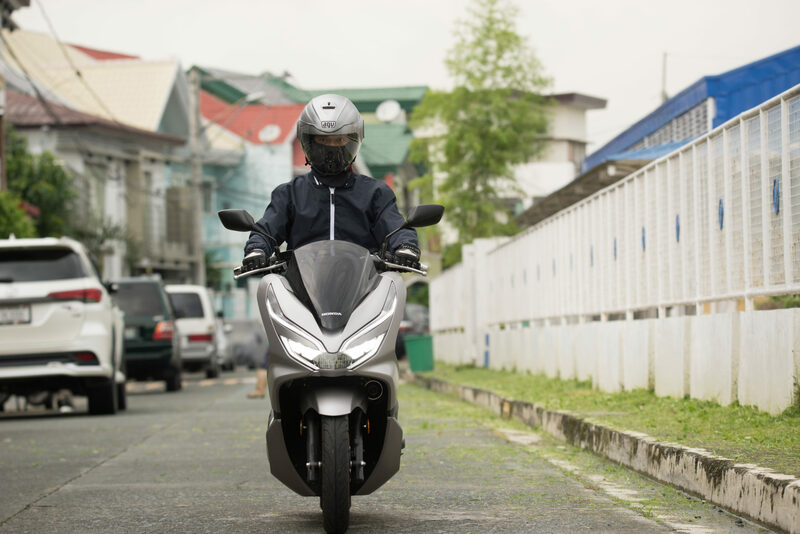 But if you want to stand out from the crowd and can’t ride anything but a Honda, then the PCX150 is truly your ride of the future, today. You’re gonna love it. We sure did.